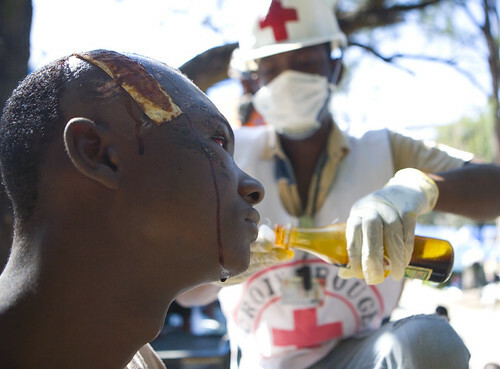 Earthquake in Haiti, originally uploaded by American Red Cross. Most of the time we consume our news via print, video or audio. However, sometimes a picture paints a thousand words. Being a media obsessive I like to see what else I can find about a story which has got my attention. This photo was found on Flickr and posted via its reblog function.